Singapore’s OCBC Bank and the China Export & Credit Insurance Corporation, known as Sinosure, have signed a framework partnership agreement to support Belt and Road projects. 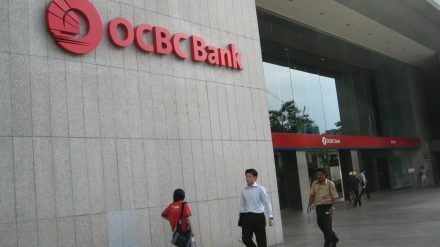 Under the agreement, OCBC Bank and Sinosure will study Belt and Road projects and investment opportunities. Sinosure is the only state-owned insurer conducting export credit insurance business in China and has seen demand for its services grow rapidly through harnessing connections with the Belt and Road initiative. The idea behind the framework agreement is to leverage each other’s experience and distribution channels to boost economic, trade and investment cooperation between China and Singapore. The Belt and Road initiative is China’s flagship programme to connect Asia, Africa and Europe through transport, infrastructure and logistical projects. Lats year insurance cover for Chinese overseas investment totaled US$58.1 billion, up 18.9% over 2017, according to Sinsosure. Last year the state-owned Beijing-headquartered company helped insure projects ranging from oil-and-gas and mining to transport infrastructure across 84 countries and regions. China’s president Xi Jinping is a firm advocate of the Belt and Road initiative and it has the full support of China’s banks and other major firms in the country. However it has proved controversial in some parts of the world with the likes of the EU suspicious of China’s motives.